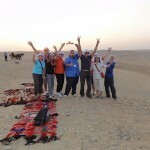 Ramses Tours is ranked as number 1 in Trip Advisor for the range of Aqaba Day Tours, Shore Excursions from Aqaba Port, we ?offers top quality shore excursions in?Jordan, day tours and all travel related services. 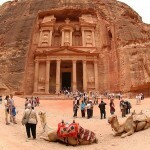 Petra?tour form Aqaba port:?enjoy?part of it ?on horse back or on foot to the Siq, a narrow gorge, and continue to the beautiful Treasury. From there you will be walked along the Street of Facades, the Royal Tombs and Qasr Al Bent. 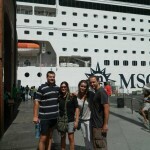 After buffet lunch you will be driven back to the cruise in Aqaba. The Dead Sea tour form Aqaba Port, famous for its salty waters. The high concentration of minerals makes water and the dark mud on the shores precious for various health treatments .Around 15.30 P.M. you leave the Dead Sea and drive back to Aqaba port.